My graphics tablet pen died. Overworked maybe? I like to think so, since I hadn’t dropped it or ill treated it during it’s two year lifetime. It started by ceasing to register high pressure- then it ceased to register low pressure. Then it finally died. I couldn’t afford to lose it for weeks while I sent it off for repair, so, perhaps foolishly- I opened it up- voiding the warranty- and tried to fix it myself. I got it fully working again for 12 hours or so before it finally conked completely. Fortunately for me I still had my Art Pen -but it isn’t exactly up to scratch either. So I was faced with the annoying fact that I was going to have to fork out for a new pen.This meant I had a choice between the default Wacom “Grip pen” and the more niche “Classic Pen”. I’ve always found the grip pen to a bit chunky- like a kid’s wax crayon- so I opted for the Classic Pen. 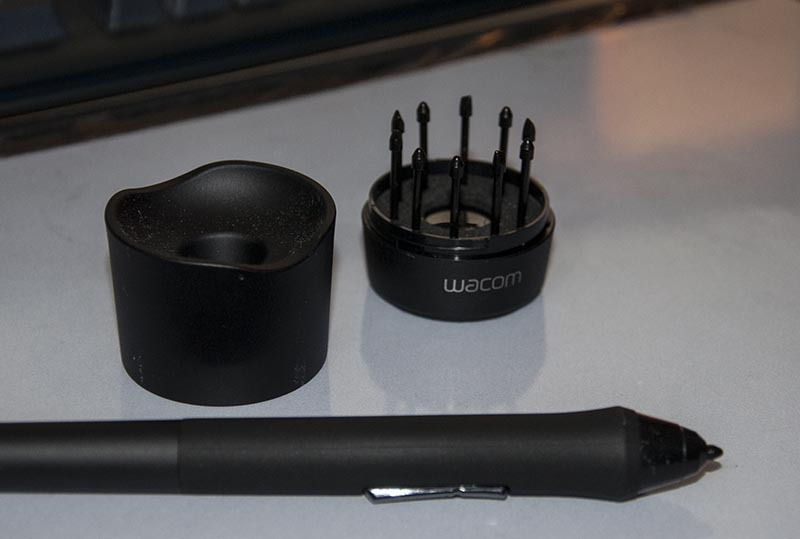 Hence this Wacom Classic Pen review. Classic pen, stand, and nibs. It comes with 4 plain nibs (one in the pen) and 3 stroke nibs. First impressions: it’s lighter. it feels a little cheaper and flimsier than the grip pen. It rattles a fair bit. If you’re used to the Grip Pen it definitely takes some getting used to. I’d have to say that it’s not as comfortable as the old Grip Pen, which is probably why they made them so damn chunky- the slimmer profile of the Classic Pen means your fingers cramp together a bit more. This makes it a little harder for me with my big hands to press the function buttons. For comparison: The Classic Pen (bottom) alongside my now Deceased Grip pen. I tell you, my old Intuos 3 pen I had for 7 years and it never once played up! Bah. That said, it does have a rather pleasant tactile feel to it. Compared to the grip pen it feels that little bit less artificial. It’s lightness and slimness make it feel more like traditional media than the Grip Pen. Stick a sheet of paper of your tablet, insert one of the stroke nibs and it feels rather lovely- like pencil on paper- not plastic on plastic. It does seem (to me at least) more like using a pencil than a paint brush. The chunkier pens have a sort of ambiguity that lend themselves to whatever use you wish, but holding the Classic pen makes me want to draw rather than to paint (In so far as either of these terms apply to digital media). It comes with a stand. Meh. And some spares of the overpriced nibs. Hoorah! As aforementioned I really like the Stroke nibs on paper. Go on, try it. I’ve also found that I enjoy using the tilt sensitivity a lot more than I did with the Grip Pen. 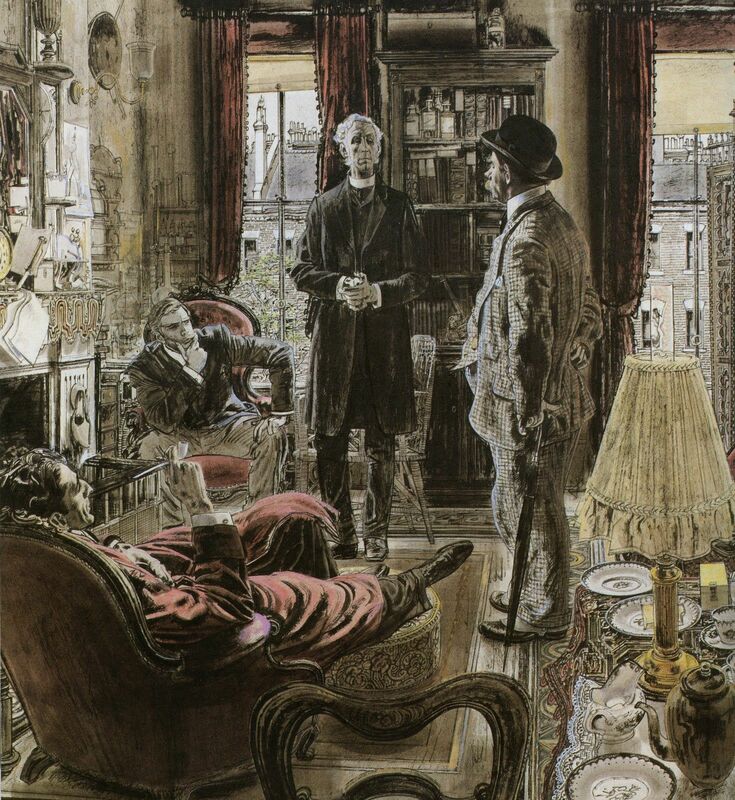 Again- its pencilesque lightness in your hand is very pleasant. Suddenly I enjoy using the 3d brushes in Photoshop. In summary– it doesn’t technically do anything different to the Grip Pen- so you’d only really want one if you found the Grip pen to be too chunky. On the other hand, you might find the Classic Pen less comfortable for long sessions. It is slightly cheaper (~£10) than the Grip Pen but frankly, if you’re making decisions about hardware for daily professional use then that tiny difference shouldn’t sway you. I’d been toying with the idea for some time of getting an art pen for my intuos 5. If you don’t know what an art pen is then you’re probably in the majority, but my intention with this post is to provide a little info for those like me- who a couple of weeks ago who was considering buying one and couldn’t seem to find enough information. 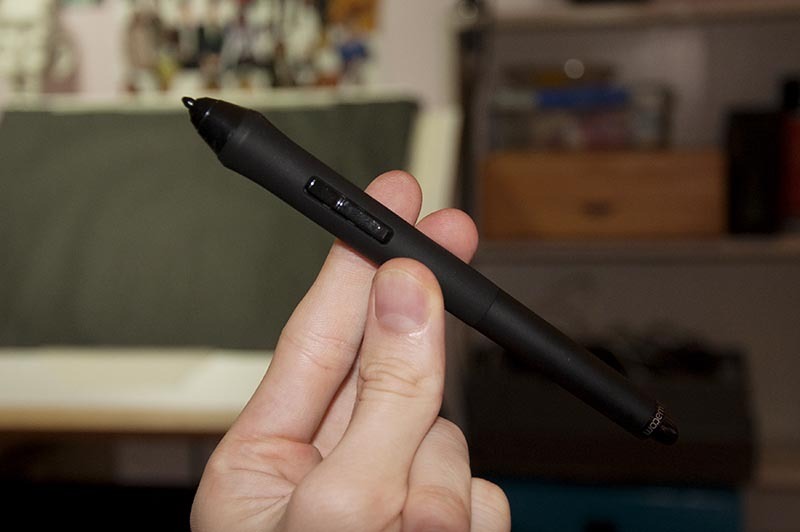 For the benefit of those who don’t know what one is: it’s like a normal graphics tablet pen- but as well as sensing the usual pressure and tilt it also senses rotation. 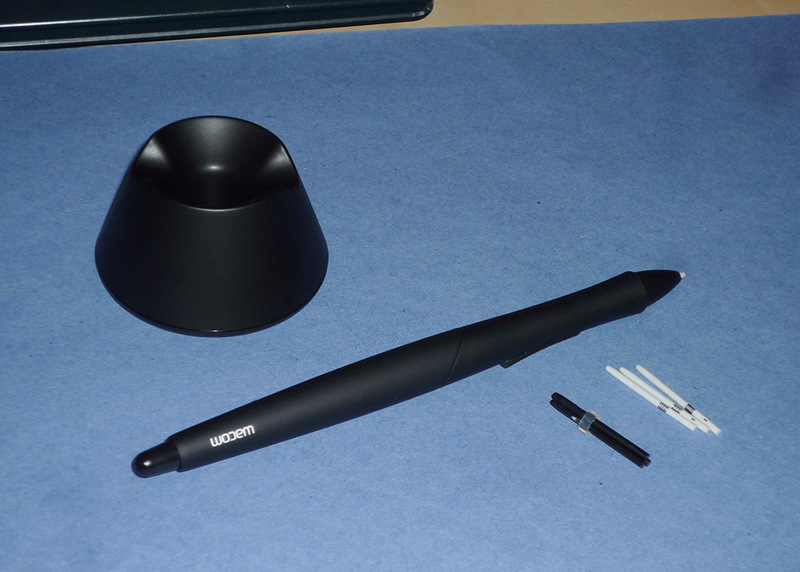 Wacom art pen for intuos 4 & 5 – Like the old grip pen but fatter, and with rotation. It’s always been my goal with my digital artwork to make it as natural as possible both in how it looks and also how it feels to create. One of the present drawbacks of digital art that we have to overcome is the limited input we have as artists and the limited processing power we can apply to making a computer rendered brush stroke look as nuanced and elegant as real brush stroke. The technology is getting there, but we’re not there yet. It’s true that once you’ve been around a piece of software for a while you start to notice it’s handiwork everywhere you look. Not just layer styles, filters and tacky effects, but even the brush marks you see in other artist’s work. When everyone uses the same tool with the same settings you get some depressingly similar results. At it’s simplest a digital brush is a series of shapes stamped in a successive line and trying with varying degrees of success to look like something more natural. Thus the desire for rotation sensing- it’s one step further away from the binary on/off state of computer code and one step closer to the intuitive natural feel of a real brush on canvas. Having the rotation sensitivity means you can start to emulate flat brushes and calligraphy pens in a way that isn’t possible without. So obviously I eventually decided to get one. I’m always filled with trepidation at the idea of forking out lots of money on new kit when I have no idea how useful or reliable it will be, but in the end my curiosity got the better of me. So enough rambling, what’s it like eh? Well, If you’re anything like me you’ll always want to hear the bad bits first- that’s what anyone who’s considering buying one really wants to know about right? 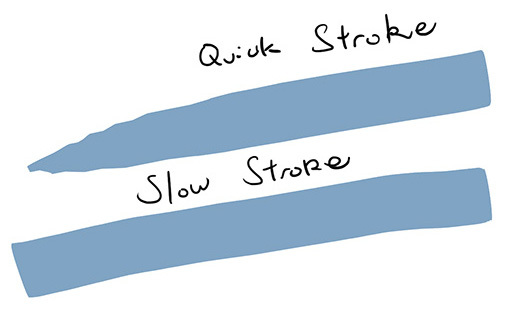 A fast stroke in photoshop vs a slow one. Both are made from right to left. Notice the taper on the top stroke where the rotation angle has changed. Moving the art pen too quickly means the tablet simply doesn’t seem to have time to process the rotation data before photoshop wants to render its position data and so the brush rotation appears to veer wildly off towards its opposing axis. I made a post in the wacom support forum to see if there was any solution- apparently not- I was advised to paint slower. Hm. 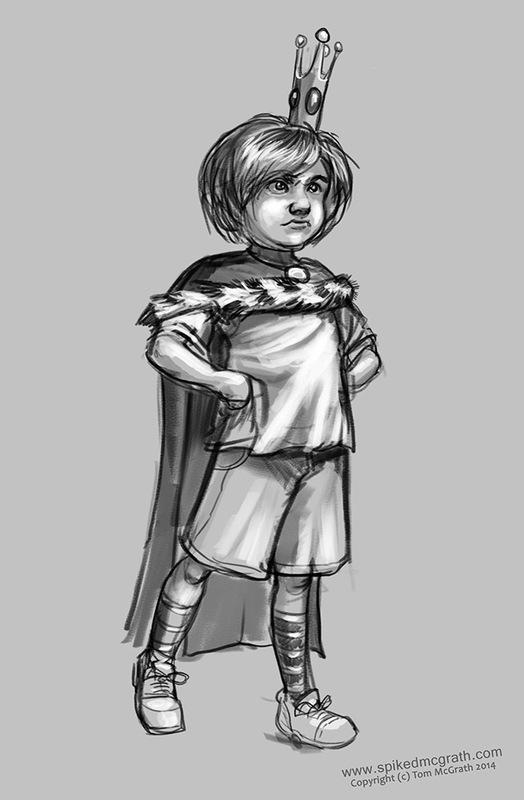 One other lesser thing to be aware of is that the photoshop brush ghosting seems to lag a little. Basically, as you rotate the brush around the brush cursor doesn’t keep up with it very well, but when you’re painting you don’t really notice, since you quickly develop an intuitive feel for where it should be anyway. The only problem the software has with actually rendering the strokes correctly is the aforementioned speed issue. So what about the good points? Well besides from the above I’ve found it to be quite good. It does what I wanted and it’s a pleasure to use. All but the fastest brush strokes work well. If you’re used to the grip pen it’ll take some getting used to as it’s a bit fatter and heavier, but it soon feels natural. My art pen now functions as my brush, and my old grip pen with a high friction nib in it works as a pencil or a pen for linework. So overall, I’d say it’s a worthwhile investment for digital artists looking for that little bit extra control and variation in their brushwork. Be aware that the extra data the tablet sends requires extra processing- so if your computer struggles much with normal strokes you may wish to give this a miss for now. Like I wrote earlier- digital art has a long way to go before it rivals the intuitive and chaotic pleasure of traditional media, but for me this is one step in the right direction. Update (November 2014): After using the Art Pen for a year or so, I’ve found it to be very useful, but only for drawing with rotation brushes. The stroke it makes is not as elegant as the grip pen at all- possibly I received a dodgy one, but it never seems to register the lowest levels of pressure. Even pressing at it’s lightest it makes a sudden splodge on the screen, rather than an elegant transition from thin to thick- so it’s really no use at all for delicate strokes. All in all my advice is to stick to the grip pen unless you really really want rotation.